Hey, fair enough. I think I'll wait until we see production shots to judge, nonetheless. When a company shows me product images, I tend to judge them based on what they are, not what they may be. Just so we're clear, you would judge a final product of a WIP? Show me where exactly in the source interview are those models marked as prototypes/WIPs. judgedoug labelled them as prototypes, so either he's wrong or he's lying. 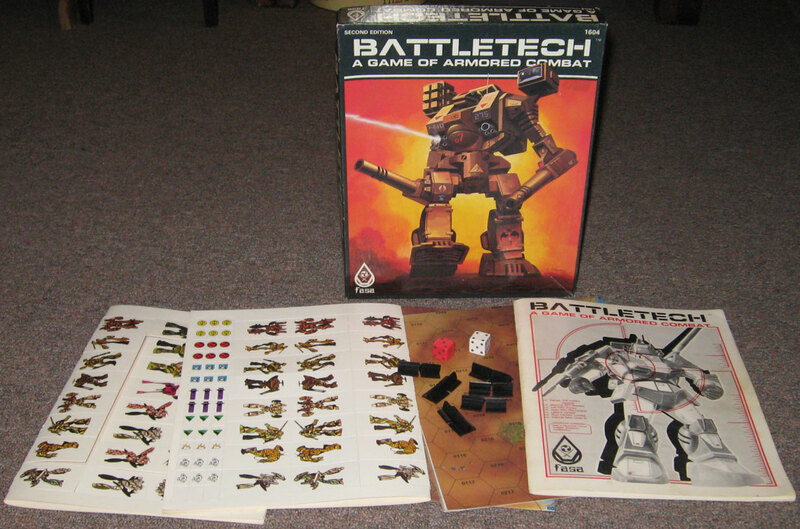 BattleTech game box wrote: X high-quality, fully assembled (un-painted) miniatures. Why would they assemble the damned things but leave them unpainted? Do they truly not understand the miniatures gaming market? As for plastic, well that certainly needs to be better defined. In the old days it would mean HISP but now it could mean just about anything. I expect it will be the same crap WizKids used in their MechWarrior game - the same stuff you use in a glue gun. As usual for anything BattleTech related, it's one step forward, one step backward, and one head firmly lodged up the arse. It's like they're trying to fail. Oh, one more thing. Why did they hyphenate "unpainted"? How much less professional can this product be? Oh, wait. Topps is involved. Give it time, I guess. Feth it. I'm done with this franchise. Unpainted miniatures are the norm. If you don't want to paint miniatures then play Heroclix. For the plastic, I think you mean HIPS (High Impact Polystyrene). The last box sets and plastics CGL put out were made of equivalent material, so unless they've inexplicably decided to go with a completely different manufacturer or supplier, these will be the same. I feel bad that a hyphenated word is the straw that broke your camels back. I only hope that in the years left to you that you can find it within yourself to truly be at peace over this issue. Heartfelt thoughts and prayers for you. Just let him go. He can go back to his F.A.T.A.L. group in peace. This is from Catalyst's page, and looks like the back of the box. One of the things I thought was pretty neat about this one, and topical to the minis or no discussion, is the inclusion of punchboard mechs in here. If you look top and center, there's a sheet of mechs there. If I'm not mistaken, they're the same ones as the plastic miniatures, so you can do mirror matches with the starter box. I really like that, especially for teaching the game to new players. The old one had plenty of mechs for each weight class, but at the end of the day a Jagermech is just no match for a Catapult. There's a link to their official release, in which unpainted is un-hyphen-ated, if that kind of thing is important to you. Because it didn't appear in the game until the third edition. First edition (BattleDroids) had ten mechs copied straight from various anime. Second edition (the fist called BattleTecch)had those ten, and added a bunch more. Then there was the lawsuit with Harmony Gold among others, and they lost the right to the images of the original ten, making them the 'unseen'. It wasn't until the Clan Invasion that clan mechs like the Timber Wolf (what you call a Mad Cat) entered the game. This is really a bit of a problem. I've had a set of Battlemechs for 15 years or so, all Clan, starting with the Mad Cat. To me, and lots of people, Clan stuff isn't new - together with the Vulture and Daishi that's what I think a Mech should look like. But people who've been collecting for longer think that this is new-fangled stuff that shouldn't be regarded as fit for a base set. That's like saying that the next 40k starter should be an updated miniatures version of Battle at the Farm. Need to find an alternate way to get my hands on that Griffin though. With that, the wolverine, shadow hawk, and thunderbolt, the fangs of the sun will be well represented! I've heard it said that she can melt you with her eyes. Well spotted and yeah it does really help. That image is a prototype from a year or more ago. As an actual employee, he does not post all of his CGL owned work on his DeviantArt gallery. Because miniatures never have been, and never will be, important to BattleTech. You can play the game using coins if you want to - you only have to know which way the 'Mech/vehicle is facing. Battletech is a true wargame - it's hex and counter. Miniatures are a nice extra bonus. Or, use them for Alpha Strike, which is a fantastic miniatures game. Yeah, 'cause your post made it sound like you were really struggling with the decision. LOL! It's like the two dozen posts to every kickstarter thread that's like "if only they had made the models 1/53 scale instead of 1/56 scale then I would spend ten million dollars but nope HARD PASS"
Look at it this way, for the past 40+ years Battletech starter set have been based on the early parts of the Battletech that timeline. Even a decades after the clans invasion the Box game had the plastic press form inner spheres mechs. I don't think they plan on rewriting the history of battletech, so the MadCat will be coming along at some point. Could they have done a clan starter set set in the same timeframe? Yes, then their advancing the time line would be about the conflict of who gets to invade the backwards precursor innersphere. Might have been an interesting take on things but they are playing it safe by walking in the footsteps of the old game. The political environment of the inner sphere states with recovered tech and the clan reconnaissance however gives much more room for people to do their own thing in the Battletech world. For those who are unaware, Alpha Strike is a fast-play Miniatures Game. 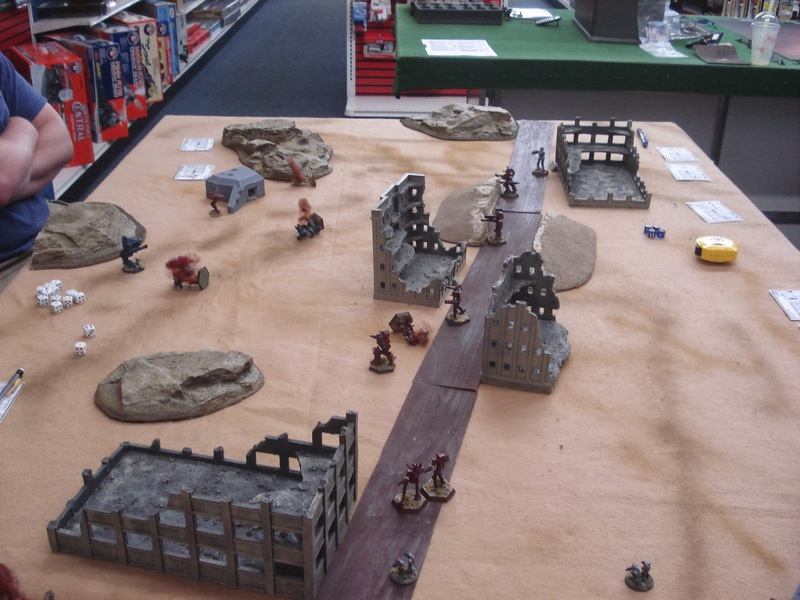 Whereas the Battletech classic game is a true wargame, in which, nominally, a platoon (or "lance") sized game is fought on hex maps with stats tracking on record sheets (and ammunition, heat, location damage tracking, etc), Alpha Strike is company+ sized, often with dozens of mechs on the table. Instead of large record sheets per mech or vehicle, Alpha Strike condenses information into a small card (think Warmachine style). A typical large game of Alpha Strike is completed in a couple hours with dozens of units on the table. All models in Battletech and Alpha Strike are compatible. Yes, then their advancing the time line would be about the conflict of who gets to invade the backwards precursor innersphere. They have previously mentioned in the past that they would like to to an "Advanced" box set with plastic miniatures, that introduces Level 2 tech - ie, Lostech (Star League) and Clan weaponry, which would include X number of plastic Clan and/or Star League mechs, and advance the starter-set timeline from the Fourth Succession War of the Starter Set through the Clan Invasion up to Operation BULLDOG and the destruction of Clan Smoke Jaguar (so 3050 through 3059). This is all hypothetical at this point, but since the Battletech box set includes eight mechs to field two Lances, I would imagine this "advanced" set would include eleven plastic mechs - six ComGuard mechs for a SLDF Level II versus 5 Clan mechs in a Clan Star. If they want Star League tech vs Clans tech Battle of Tukayyid would be great for this. I love the Classic era most, but enjoyed quite a lot of the Clan era stuff and never got into the later stuff. However if there are cool models,art and good gameplay it should sell whatever the era. I have not yet got Alpha Strike - might have to get that as well. That's a Thunderbolt on the cover there. I thought it was Unseen because it was taken from Dougram. They are bringing Unseen back? And that looks like a Wolverine in the back! Red just like the Blockhead. CGL has full license rights for designs from Dougram and Crusher Joe, including the Locust, Wolverine, Griffin, Shadow Hawk, Thunderbolt, Battlemaster. Note the contents of the starter sets! I agree. Plus, imagine a player who is used to the Level 1 / IS tech from the normal starter set. They pick up the Advanced set to get the cool new mechs and then they're like "an ER PPC does WHAT now? Pulse lasers?! Ultra autocannons?!?! DOUBLE heat sinks!!!!" Alpha Strike is frickin' awesome and I am super excited by this updated edition. Back of the previewed box lists a "Punchboard of additional BattleMechs and terrain" as included in the box. The Clan Invasion is "old" news at this point; I believe the current timeline for BattleTech stretches all the way into the 3100s now. There have been 3 big post-Clan Invasion events already: the Jihad, the found of the Republic of the Sphere, and a blackout of interstellar communications. Really excited for these new designs; I do hope any print artifacts were cleaned off the prints before molding. Anthony Scroggins (Shimmering Sword) is also the Art Director for the BattleTech line, which is quite exciting! What do you mean? What would 3d printed prototype artifacts of a cad design have to do with plastics tooling? I would like the game to get away from hexboards, filling in dots, and clunky game mechanics. Alpha Strike was a huge step in the right direction, but the neckbeards and grognards all screamed bloody murder about "their game", and so Battletech limps on with game mechanics that haven't changed since 1984. And yeah, it's holding the game back. X-Wing is so successful because it's pre-painted models, that require no prep. They also are painted well, which helps tremendously (see Star Trek Attack Wing for examples of poor paint jobs and shoddy assembly). Each ship can be modified and customized with extra crew/equipment/weapons cards. A game typically takes about an hour to play. Book keeping can get complicated, but not nearly as much as in Battletech. What I don't like about X-Wing is the movement sticks and proprietary dice, but that is intrinsic to the game mechanics themselves, and wouldn't be the same game without them. Basically, Battletech is slow, and very, very granular in it's attention to detail, and it's competing against video games, board games, card games, and other table top games and it lacks everything that makes all those other genres successful. These starter sets contain nothing new (the same mechs from the 1980's), nothing innovative, and is basically the same as they were from the 1980's. I'm really looking forward to the new edition of Alpha Strike. And that Manchu, is the Tabletop player's perspective. To this generation that probably had their first exposure from computer games- It'll probably be an Uziel or Madcat. So for me, the Atlas just screams Battletech, and I'm most familiar with those 24 3025 mechs than anything else. My brothers first experience was with Mechwarrior 2, and so they adored the Timberwolf. It will never change - it's like the Advanced Squad Leader community, but with robots. It will always have a niche that will be catered to that buy everything that gets printed. The biggest problem is the basic system for new players is also temporally linked/chained to the 3025-era. That creates problems when it comes to introducing new players to the universe, if the current timeline is in the 3100s, with all the additional tech bloat and sidegrades since then. In terms of story, it also shackles new players to essentially playing the 3rd and 4th SW era over and over again, and the unbalanced coverage of the factions in that era. If new players want to play in the "present" Battletech era, they suddenly have to learn a whole plethora of new stuff, or have their 3025-era stuff ripped to shreds. For new players, this creates a barrier to entry. Boy, lots of opinions screaming, "Do what I like because that's the right way". I'm just happy Battletech is relevant right now. I am looking for the best way to combine the new Battletech with a pencil and paper RPG. (I wonder if I can harness Starfinder rules for Battletech RPG? I know right? I mean, those guys, liking that game they play. How dare they??? Such neckbeards! Much grognards! Why can't they like what I like? I am interested in both the old version Battletech Boxset AND the new Alpha Strike rules. I can't wait for this just like others. One thing I don't like is the bases. The hexes look awful. Non of the mechs are in the same position according to the base. Some are of the "front" of the mech is on a side of a base which I believe should be the case and then you have another mech on a different angle (could be the position or angle of the mini) and then you have one mech's whos "front" in on the point of the hex. I guess I am just so use to round bases now. You would think after 30 years they would have come up with the technology for the mechs to "torso turn". I understand to save costs. Need to keep the starter set cheap for lots of people to come back (like me) and get new other people playing (hoping my gaming group). Oh I didn't know about that alpha strike book, damn it catalyst your killing my wallet. I get classic btech isn't for everyone there's a lot of charts and book keeping but it's a far deeper game than something like 40k where movement is largely meaningless. Also clans rule spheroids drool! I wanted to make a post, for those that are unfamiliar, but are interested, in Battletech, and the differences between Battletech: A Game of Armored Combat and Alpha Strike. If the distribution is decent and the actual production minis work out the 3D printing kinks these prototypes have, I'd be inclined to actually pick these up. It's so refreshing to see actual Battletech minis that legitimately look good, and not jusy because of their source material designs. I find it kind of funny/odd that they made the Battlemaster bigger than the Wolverine. 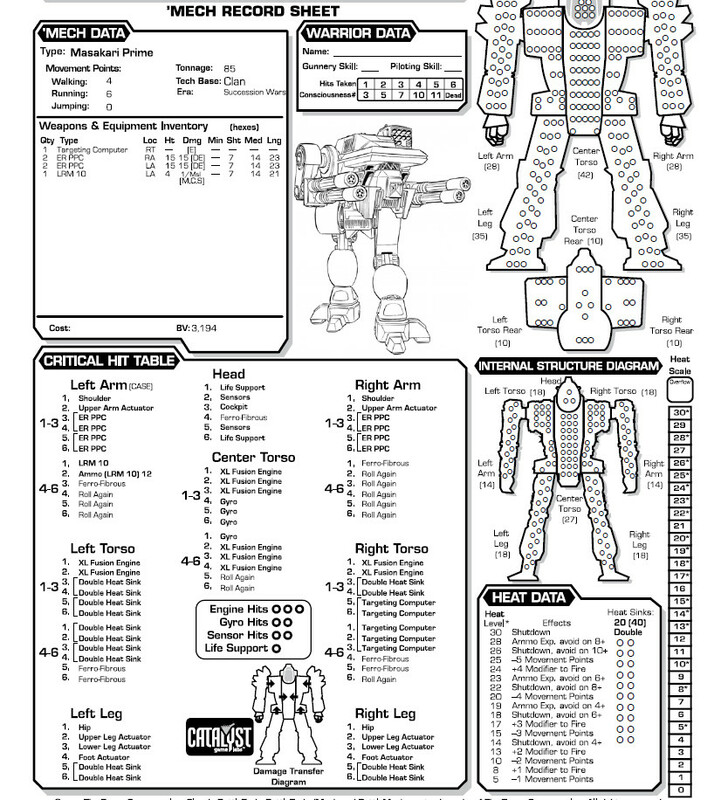 I'm more familiar with the Dougram source material than Battletech, and in Dougram the Wolverine (Blockhead) is bigger than the Battlemaster (Big Foot).